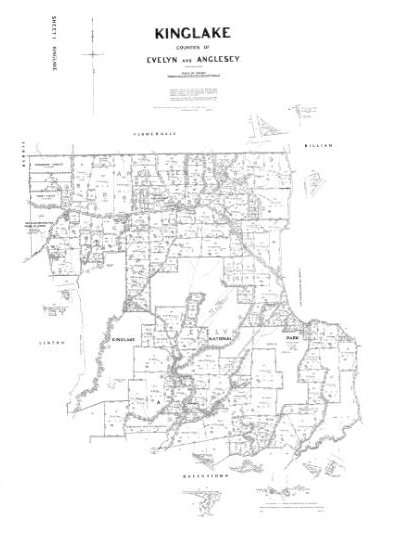 A Parish Plan is a plan of parish showing the boundaries of occupied, reserved or privately owned land, the names of first grantees, and the purchase dates. Before the advent of GIS Systems and digital cadastre, parish plans were an important resource for Council Engineering Departments, who were the traditional keepers of parish and other survey plans. Victoria is divided into administrative districts known as counties, parishes and townships. The maps of these districts record the transfer of land from government to private ownership, with each plan showing the boundaries of occupied, reserved or privately owned land, the names of first grantees, and the purchase dates. They show only the first purchaser of each block of land – subsequent owners are not recorded.